Quantum is a tablet-based system that quantitatively measures performance in simulation using an instructor-mediated assessment, to measure a participant’s integrated knowledge, skills, and attitudes, and then provides detailed score reporting and customized remediation! Quantum can evaluate an instructors level of severity. 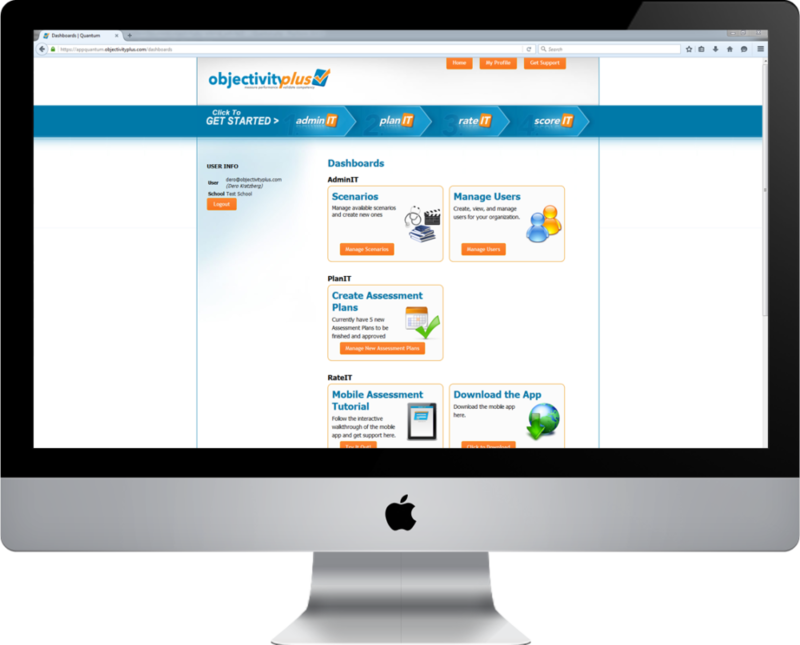 Quantum features an exceptional administrative scheduling, mass communication tools, and robust reporting. Measure student performance and validate competency with Quantum, the first and only instructor-mediated, performance assessment that has the capability to estimate and adjust for instructor and item variations to produce fair and objective student test scores. Quantum is comprised of several standardized clinical scenarios for use in the simulation laboratory that each student must successfully complete in order to demonstrate competence in key areas. Quantum incorporates educational learning and critical thinking theories, and measures all domains of learning. Psychometrically sound, customizable, legally defensible, touch-screen Tablet technology. Includes instructor and student scheduling, communicating, and reporting. For hospitals, Quantum operates in the HR vertical. 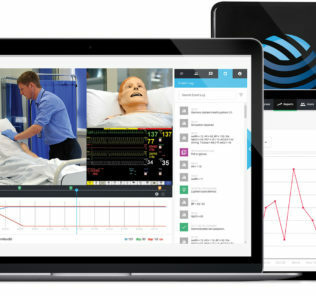 Quantum, an instructor-mediated, performance assessment used in a simulation laboratory to assist instructors to objectively measure a learner’s performance and document his or her clinical competency. The Joint Commission on Accreditation of Healthcare Organizations (JCAHO) noted that healthcare organizations have historically relied on education and experience to support competence, but an increasing number of healthcare organizations are seeking objective measures of a nurse’s knowledge that is required for safe practice. Whether it is to drive an educational intervention to improve safe practice or safely decrease the length of orientation for new employees using simulation for teaching and learning reflects a presumption that learning is taking place and the teaching is effective. How do you know if you don’t measure it objectively? What can Quantum be applied to? How Does Quantum Provide Valid & Reliable Assessments? Quantum’s validity evidence spans eight facets of construct validity: content, substantive, structural, generalizability, external, consequential, responsiveness and interpretability (Messick, 1989, 1995; Medical Outcomes Trust, 1995). Regarding reliability and standard error, Quantum provides a direct estimate of the modeled error variance for each estimate of a learner’s ability, an item’s difficulty, and an instructor’s severity (Wright & Masters, 1982; Wright & Stone, 1979). These standard errors provide a quantification of the precision of individual person measure, item difficulty, and instructor severity, and can be used to describe the range (i.e., confidence intervals) within which each learner’s true ability, item’s true difficulty or instructor’s true severity falls. Reference: Messick, S. (1989). Validity. In R.L. Linn (Ed. ), Educational measurement (3rd ed. pp.13-103), New York: American Council on Education and Macmillan. Messick, S. (1995). Validity of psychological assessment: Validation of inferences from persons’ responses and performances as scientific inquiry into score meaning. American Psychologist, 50, 741-749. Medical Outcomes Trust Scientific Advisory Committee. (1995). Instrument Review Criteria. Medical Outcomes Trust Bulletin, 1-4. Wright, B.D. & Masters, G.N. (1982). Rating scale analysis. Chicago: MESA Press. Wright, B.D. & Stone, M.H. (1979). Best test design. Chicago: MESA Press. For example, given a three dimensional matrix of data represented by: learners X items X instructors, the difficulty of item i is estimated based on the sum of all ratings on that item across all learners and all instructors. Likewise, the severity of instructors j is estimated based on the sum of all ratings comprising all items across all learners scored by that instructor. The person measure positions learners relative to each other after the additive effects of items and instructors specified in the model have been subtracted from the calculation. The resulting person measures are linear and also objective because they have been freed from the differences due to variations in items and instructors (Linacre, 1994). Reference: Linacre, J.M. (1994). Many-faceted Rasch measurement (2nd ed.). Chicago: MESA Press. 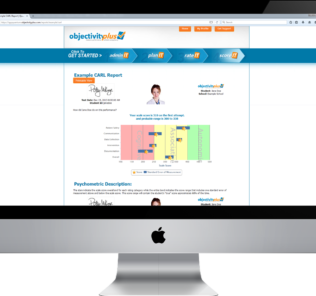 Learn more about the reliable Quantum performance assessment tracking system on the ObjectivityPlus Website!